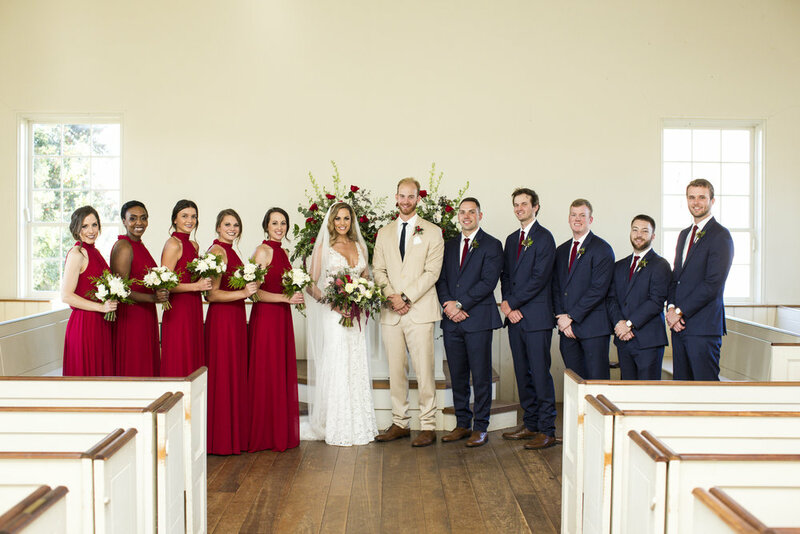 Amber & Cody got married on a gorgeous December day here at Andrew Jackson's Hermitage. 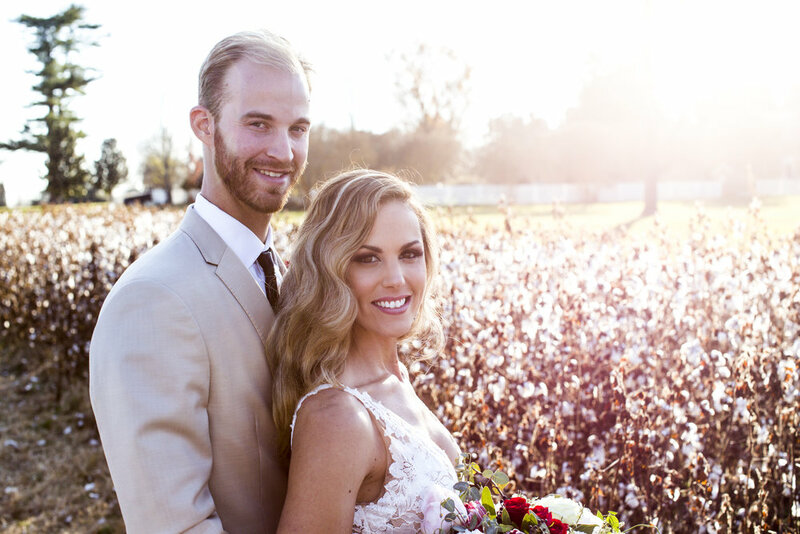 The weather could not have been more beautiful, or a bride more deserving of the perfect day! It is impossible to pick just a few photos from this one. 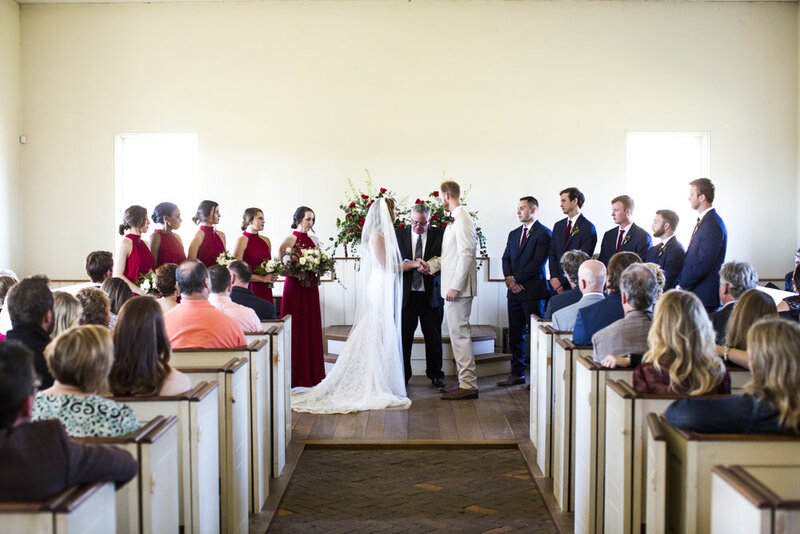 Their ceremony took place in The Hermitage Church with a reception following in the Cabin by the Spring. During the months leading up to the wedding, Amber and her Mother-in-law collected vintage china from antique stores. Each plate, cup, and goblet was hand picked special for the day. Another of our favorites details was the brides pink fuzzy shoes under her dress. The dining tables were lined with garland, staying true to the season with evergreen, pinecones, and pops of red accents. Every detail of the day was perfect! Amber & Cody have since started their life together in Savannah, Georgia and we wish them all the happiness in the world!